So far my Sunday has consisted of coffee in bed and a Breaking Bad marathon. 1. Pre-heat the oven to 375. Lightly mist 12 cups in a muffin tin with cooking spray and set aside. 2. 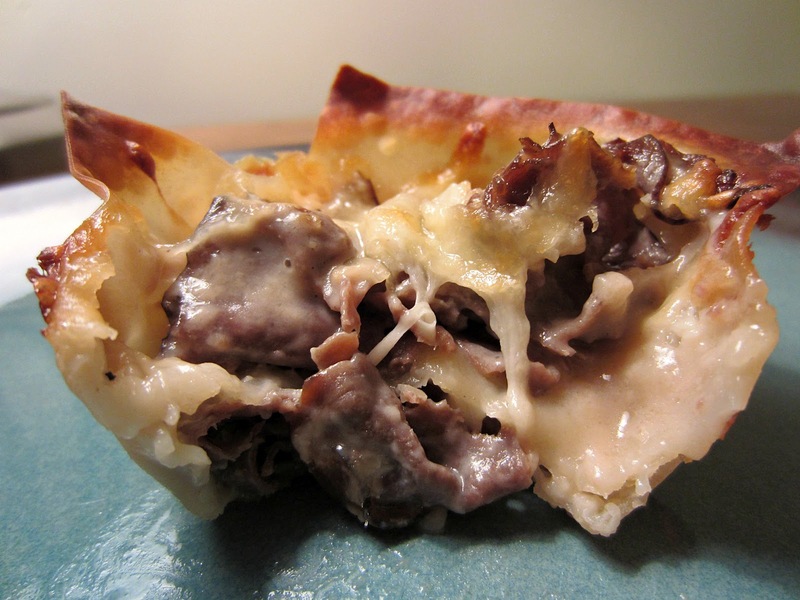 In a microwavable bowl, combine the roast beef, cheese wedges and Au Jus sauce. Microwave for 2 minutes on high. Stir to combine until cheese wedges are melted and roast beef mixture is fully coated with cheese and Au Jus sauce. 3. 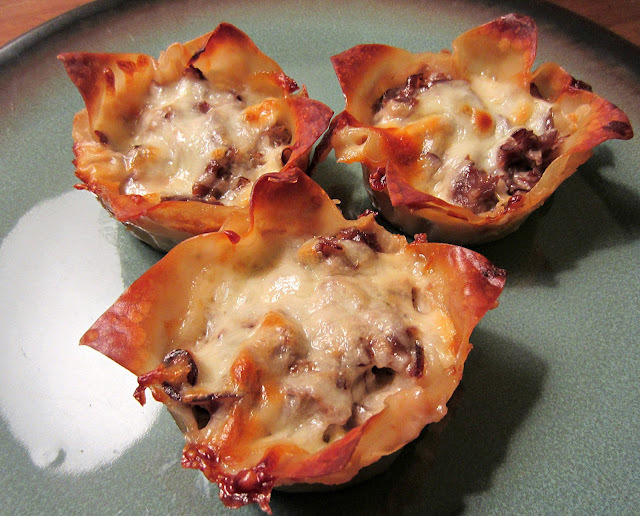 Push a wonton wrapper into the bottom of each of the twelves sprayed cups in the muffin tin. 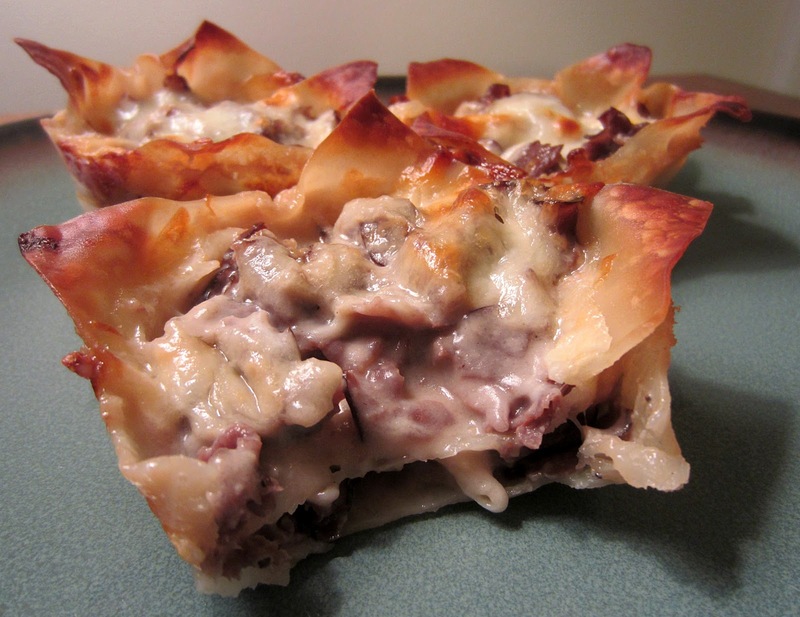 Spoon about half of the roast beef mixture evenly amongst the wonton wrappers. Sprinkle about half the mozzarella cheese evenly over the top of each cup. Press another wonton wrapper on top and repeat the layering steps with the remaining ingredients. Voila! Dinner in 20 and you really didn't have to do all that much! Back to this Breaking Bad thing though, anyone else out there watching it? What do you think of it so far? I'm itching to get my hands on Season 4. Speakkk to me!